Get ready to watch your kids’ faces light up as bright as the lights of Vivid Sydney 2018! The lights, music and ideas incorporated into Australia’s biggest event are on show from Friday 25 May and runs to Saturday 16 June 2018. This festival is fun for the whole family and there is something to see, touch and discover everywhere you go. You might not have the time (or the want) to see everything that Vivid Sydney 2018 has to offer so here is a quick guide to the ‘must see’ installations. 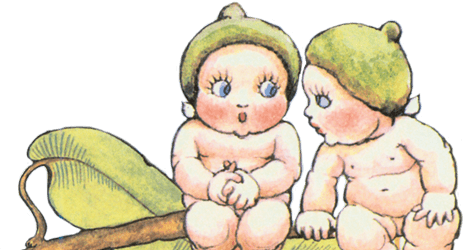 Join the gumnut babies on the facade of Sydney’s 1845 Customs House as they celebrate 100 years of the classic May Gibbs characters. 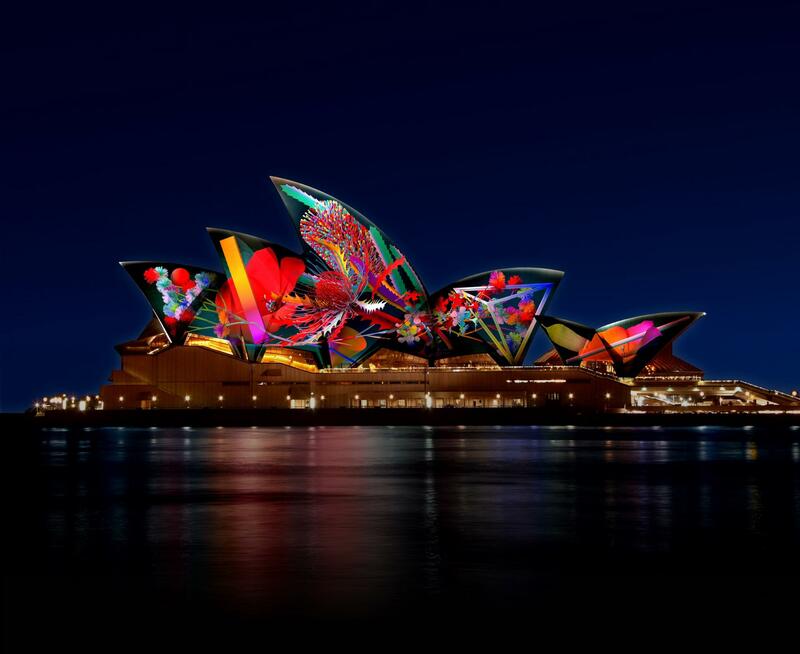 Watch in awe as the Sydney Opera House sails are transformed into a series of kinetic digital sculptures and imagery inspired by the Australian environment. Hanging at the entrance of Westfield at Chatswood, the Octopoda features eight tentacle drums. This percussion ensemble will amaze audiences through light and robotic displays. Let the kids run, step and jump along the pathway and watch the reflecting and shifting colours of this interactive landscape. Transforming the historic Cadmans Cottage, the Ballpit is a virtual space filled with tens of thousands of virtual and responsive toy balls. Visitors can push, swim and dance through the balls while real-world physics could break, gravity could disappear and the balls might even turn into different materials. New to Vivid Sydney 2018, the Spirit of Fun is located on Luna Park’s Coney Island. This massive installation brings to life the park’s soul, colourful history and artworks. Families will without a doubt enjoy Vivid Sydney 2018. The interactive installations, friendly flowers, fairytale world and much more are enough to ensure a great time but these tips will make your experience with the kids much smoother. Visit early in the week as the crowds are much smaller. Monday – Wednesday are your best days. Pack snacks and water; otherwise be prepared to pay Vivid prices and expect to wait a while for food. It is a good idea to check out the Vivid Sydney website before you go so you know exactly what to expect when you are there. The possibilities at Vivid Sydney 2018 are endless. It is an unforgettable experience for both parents and kids. You can keep up to date with all May Gibbs events here. This is a contribution from Camper Kell – Camper Kell is a camping and “things to do” blogger raising four free range little nature lovers. Kell helps little people embrace nature while while preserving our natural habitats for bush babies of the future.